Wears Valley offers luxury cabin rentals for your Smoky Mountain Getaway! Choose from one bedroom cabins for your honeymoon or romantic getaway, a larger cabin for a couple's weekend, or a three or four bedroom cabin for your family vacation. We also have big cabins and lodges for church retreats, family reunions, military reunions, or corporate meetings. 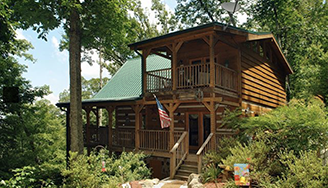 Cabins USA manages more than 50 luxury cabins in the Wears Valley area. 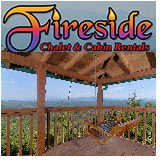 They are dedicated to providing peaceful cabin rentals in the scenic Tennessee Mountains. Guests can cuddle by a serene fire, rock on a wrap-around porch enjoying beautiful mountain views and the relaxing sounds of nature, or sip champagne while enjoying a candle-lit dinner prepared in your private kitchen. 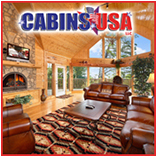 Whatever your pleasure, Cabins USA offers that perfect getaway you have been longing for. 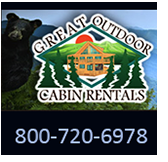 www.cabinsusa.com Start creating new memories by escaping into the wilderness and renting a beautiful log cabin located in the heart of the Smoky Mountains. These tranquil cabins are your answer to a great relaxing vacation. Whether you are looking for a honeymoon cabin, or a relaxing and fun family vacation we have you covered. We have Pigeon Forge cabin rentals with mountain views, game tables, hot tubs, Internet access, full kitchens, pool access, Jacuzzi tubs, fireplaces, seclusion, and pet friendly. Enjoy spectacular mountain views from your Wears Valley cabin! Our chalets and cabins offer lots of amenities for your vacation getaway. Pool tables, game rooms, porches with swings, Hot Tubs, Jacuzzis, fireplaces for those cool evenings, and lots more. You will be tucked away deep in the Smoky Mountains yet close to all the fun in nearby Pigeon Forge. There is also lots of outdoor adventure awaiting you. We have cabins for everyone--honeymooners, families, or groups. 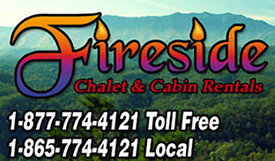 www.firesidechalets.com An exclusive cabin rental community located only 5 minutes from the Pigeon Forge Parkway and all attractions. 1 BR to 8 BR cabins available for honeymoons, romantic getaways, family reunions, family vacations, or group gatherings. Log cabins are custom built and beautifully decorated. Full size kitchens, hot tub, Jacuzzi, fireplace, pool table, beautiful mountain settings, spacious.